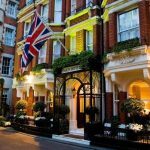 DUKES LONDON is 5 stars deluxe boutique hotel nestled in the heart of historic St. James’s, where you will arrive as a guest and leave as a friend. Awarded “AA London Hotel of the Year” and “England’s Leading Classic Hotel” at the World Travel Awards 2015, it’s our privilege to be a part of this long tradition and to invite guests from around the world to experience the best of London with us. 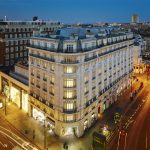 Just 5 minutes’ walk from Green Park Station, Oxford Circus, Piccadilly Circus, Bond Street, and a 30 minute taxi ride from Heathrow Airport. Multi-award winning hotel noted by the AA Awards 2013 as the Top London Hotel of the Year with 90 designed bedrooms including15 suites; it is timeless and elegant. Renowned DUKES Bar for the best Martini Cocktails in Europe with links to Ian Fleming author of the James Bond series. Restaurant THIRTY SIX offers the best of British Cuisine with a modern twist. The Drawing Room with The Cognac & Cigar Garden and The Champagne Lounge are ideal to enjoy a traditional Afternoon Tea or the Gin & Tonic version with family and friends. An intimate health club with steam room is also available free for residents use. DUKES LONDON is somewhere rather special. Discount for members: 10% off food in THIRTY SIX Restaurant, Drawing Room, Champagne Lounge and in-room service. 10% off spa treatments. 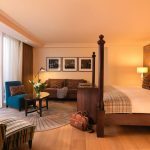 Combining the refined services of a luxury hotel with the privacy, comfort and generous living space of a contemporary Mayfair residence, Grosvenor House Suites by Jumeirah Living offers a unique experience at London’s most exclusive address. Discount for members: Preferential rates available to Association members’ please enquire. 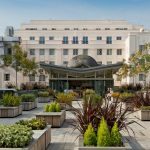 Set in prestigious Mayfair, London Marriott Hotel Park Lane has completed a multimillion transformation and offers a bespoke five star service. The 152 immaculately designed and high-end luxury residential rooms and suites boasts luxury amenities including marble bathrooms, plush robes, and deluxe beds with nightly turndown service. Experience a quintessential Mayfair atmosphere walking through the hotel with its extensive collection of British artworks curated by acclaimed art consultant Peter Millard. 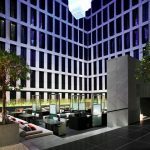 The hotel also features 120sqm of newly redesigned meeting spaces flooded with natural daylight on one designated level. The well-appointed meeting rooms provide chic interiors, adaptable spaces, as well as cutting edge technology including the latest audio visual equipment. Sample Seasonal British Larder in our signature restaurant Lanes of London with a private entrance making it a destination in its own right. The Club is a serene retreat exclusively featuring the only pool on Park Lane and state-of-the-art gym equipment. With an excellent location on Park Lane, we place the city’s famous attractions like the West End and Mayfair virtually at your doorstep. We look forward to welcoming you to the London Marriott Hotel Park Lane. Centrally located, Sofitel London St James lies discreetly in the most prestigious and lively area of London. With 183 rooms including 10 Junior Suites, 7 Prestige Suites and 1 Royal Suite. The hotel features an elegant Brasserie, The Balcon, the St James Bar, and The Rose Lounge for afternoon teas. The hotel also provides a luxury spa, So SPA and state of the art gym, SoFIT. With a private dining room and 12 meetings rooms for up to 180 guests, the hotel is a unique venue to stage fruitful meetings and social events. 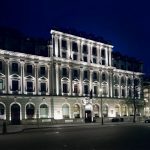 Opened in 2010, The Arch London is fast making a name for itself as an exclusive hangout for the super-rich and famous. A stylish addition to London’s elite hotel scene, the boutique design hotel is a true hidden gem in the heart if Britain’s most vibrant metropolis. Among the hotel’s impressive catalogue of recent clientele are British royalty, international celebrities and the wealthy Sheikhs of Kuwait and Qatar. The Arch London is a home-from-home for true connoisseurs of luxury. Business Contact Email: Please refer to our web site for contact email. Grand in style, yet intimate in feel. The Beaumont is a distinctively independent luxury hotel in the classic tradition. The Beaumont is the first hotel by Corbin & King, the London restaurateurs behind The Wolseley, The Delaunay and a number of other leading restaurants in the capital. A luxury, 5 star Mayfair hotel, with just 50 rooms, 13 studios and 10 suites. The Beaumont occupies a historic 1926 building overlooking Brown Hart Gardens. A striking element of the hotel is ROOM, an experimental work of art commissioned from the Turner Prize-winning British sculptor, Antony Gormley. Forming part of a suite, ROOM is a massive, modular piece made of stainless steel and fumed oak, place on a low level wing to the south side of the building’s façade. 230 bedroom 4* deluxe hotel with AA rosette award winning Restaurant, Lobby Bar and Conference and Private Dining for up to 80 guests. Valet Parking available on site. 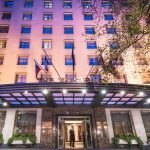 Perfectly located in a landmark position in the heart of London, the iconic hotel has long been the choice for Royalty and countless other discerning guests. 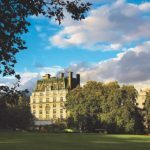 The 136 beautiful bedrooms and suites feature fully restored Louis XVI style interiors and most rooms overlook the stunning Royal Green Park or world famous Piccadilly. The magnificent Ritz Restaurant is often described as the most beautiful dining room in the world and leaves an indelible impression on all who dine there. The finest of British ingredients are cooked using Escoffier-inspired classical recipes. Afternoon Tea at The Ritz is a quintessential British experience that has stood the test of time. In 2002, The Ritz London was awarded a Royal Warrant by His Royal Highness The Prince of Wales for Banqueting and Catering Services, becoming the only hotel in the world to receive such an honour. The hotel has six stunning private dining rooms, five of which are located in the William Kent House, the stunning Grade II listed townhouse adjoined to the hotel. The exquisite collections of lavishly decorated event rooms retain their original Italian Renaissance style décor. 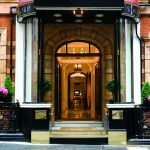 The Stafford London , a historic hotel located in the heart of St James’s, is independently owned and managed, and offers three contrasting styles of rooms and suites. The Main House, a former private residence, comprises 67 rooms and suites which combine Victorian grandeur with modern comfort. In contrast the 26 Mews Suites and Penthouse offer contemporary interiors within the tranquil courtyard of the Main House, while the adjacent Carriage House contains 12 traditional rooms and suites in the former 18th-century royal stables. The Lyttelton Restaurant and private dining rooms provide elegant cuisine and fine wines, and menus from executive chef Carlos Martinez are classic and modern with a Mediterranean flavour. The renowned American Bar with its legendary cocktails and unique outdoor courtyard, Blue Ball Yard, is one of London’s most notable cocktail establishments. Underneath the courtyard, the 380-year-old vaulted wine cellar is an ideal central London location for events and celebrations. The Westbury Mayfair, A Luxury Collection Hotel, situated in the heart of Mayfair – London’s most exclusive fashion and boutique district, is the only hotel located on Bond Street, a stone’s throw away from cultural treasures, shopping, theatres and London’s commercial centre. Newly renovated for 2017 by Alex Kravetz Designs, guests can enjoy a heightened sense of luxury with 225 classic chic bedrooms, of which 63 are suites. The contemporary elegance of our suites is soothing, refreshing and gently stimulating. With four AA Rosettes and a coveted Michelin star Alyn Williams at The Westbury offers a glimpse into his artistry culinary served in a stylish and elegant dining room. The restaurant also features 2 exclusive private dining rooms, the Wine Room and Aspen Room with maximum capacity of 22 guests. A secret gem in cosmopolitan London The Polo Bar is an opulent Art Deco-inspired space named Best Hotel Bar by the London Club and Bar Awards 2016 and London’s Bar of the Year 2014 by The London Lifestyle Awards.